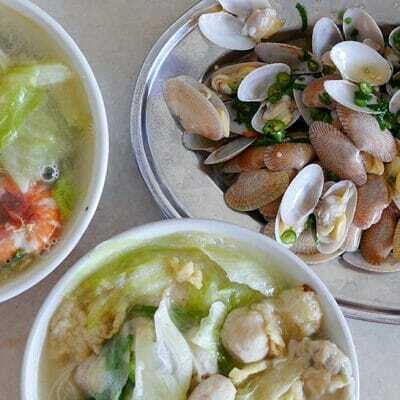 Kali Little Restaurant is a smorgasbord for seafood lovers – a humble restaurant with zinc roof and tattered tablecloths. 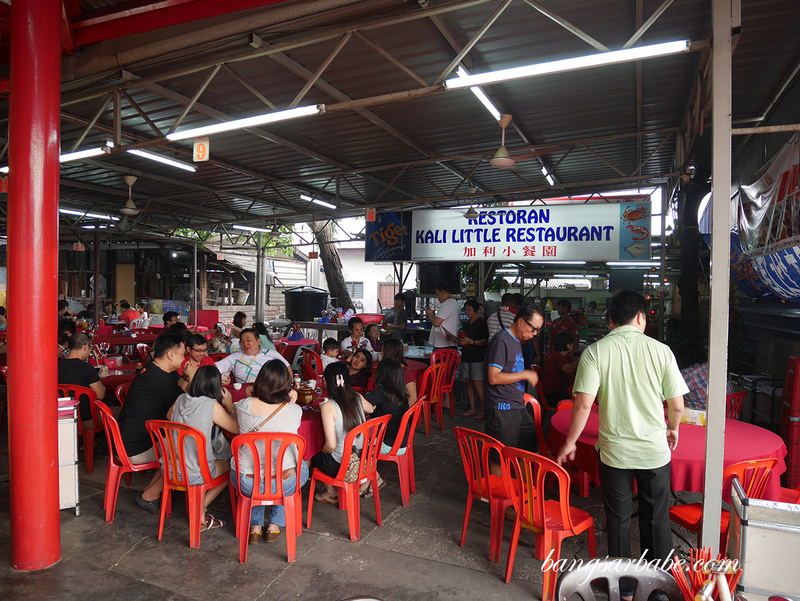 But what matters at Kali Little Restaurant isn’t its facade; it is the food or importantly, the large crabs. 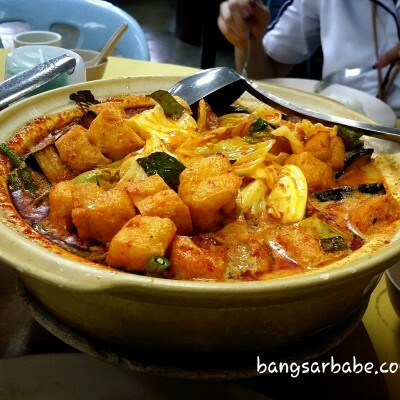 They come in various styles – sweet & sour, salted fish, kam heong, steamed and the most popular of all, salt baked. Reservation is a must to secure a table and your share of crabs. Failing to do so would result in a longer wait and the most tragic of all, the unavailability of crabs. Check out the size of the crab! 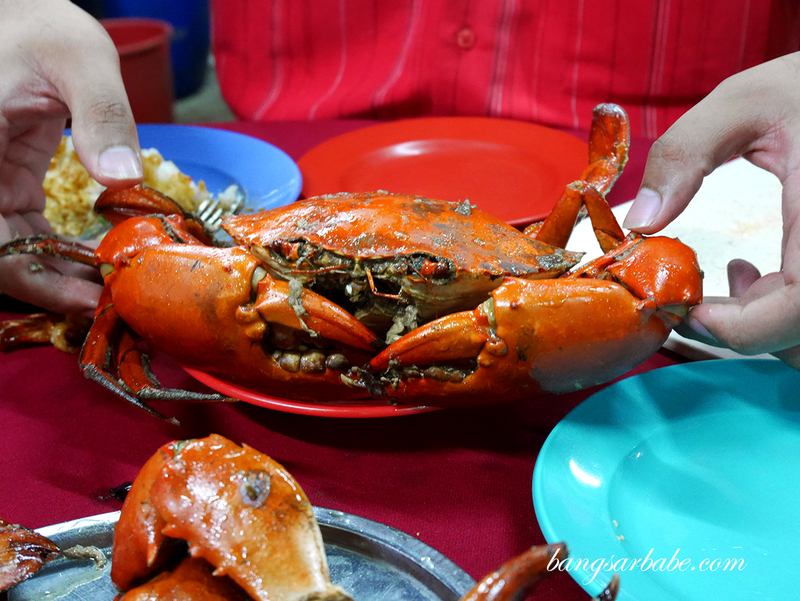 Imagine having to watch as the tables around you feast into just-baked crabs, marinated in salt and their own juices. And the sounds of the cracked shells as the diners ply though them hungrily. That my friend, is gastronomical torture. 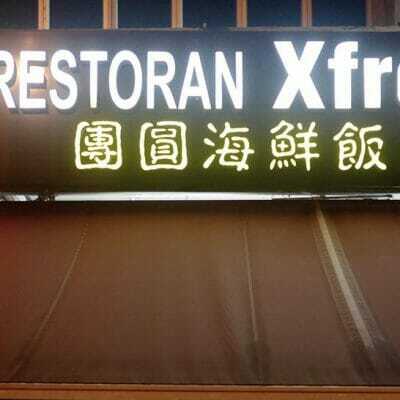 Klang folks either eat super early or late. At least that’s what I observed as when we arrived around 6pm, many of them were already midway through their dinner. And by 9pm, there’s a turnover of customers. 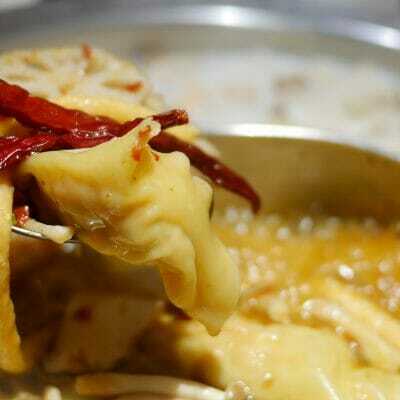 Lala Soup is flavour packed and aromatic from the fried garlic bits. 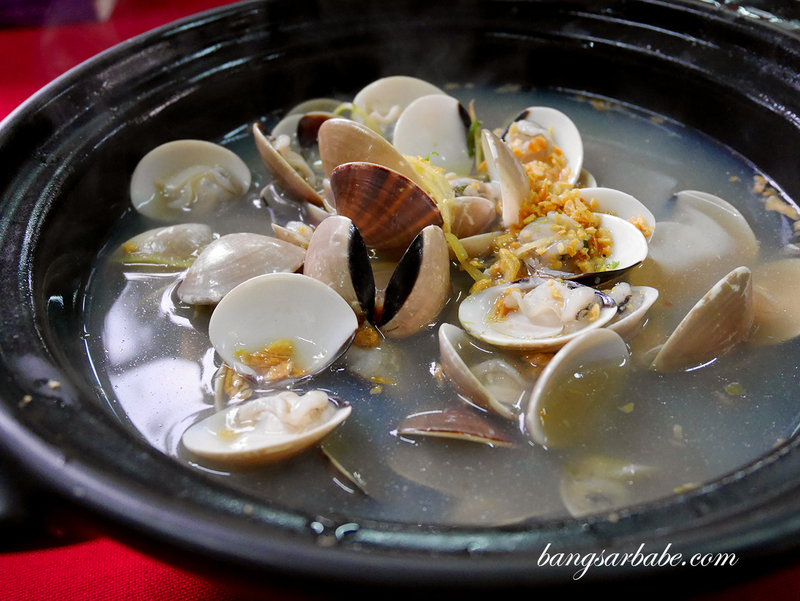 I love how the julienned ginger adds oomph to the broth and the clams are meaty and sweet. 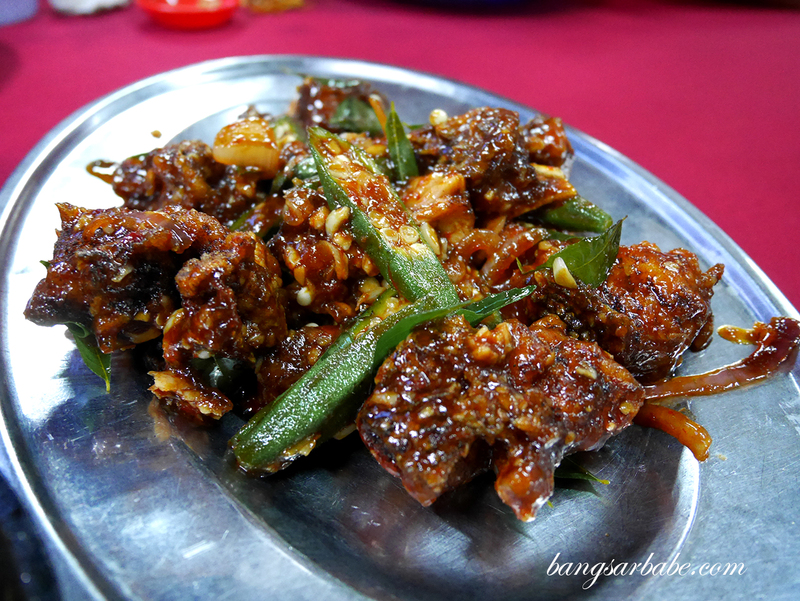 The Kam Heong Fish is an interesting twist from the usual steamed version where the fish is deep fried and coated with caramelised kam heong sauce. 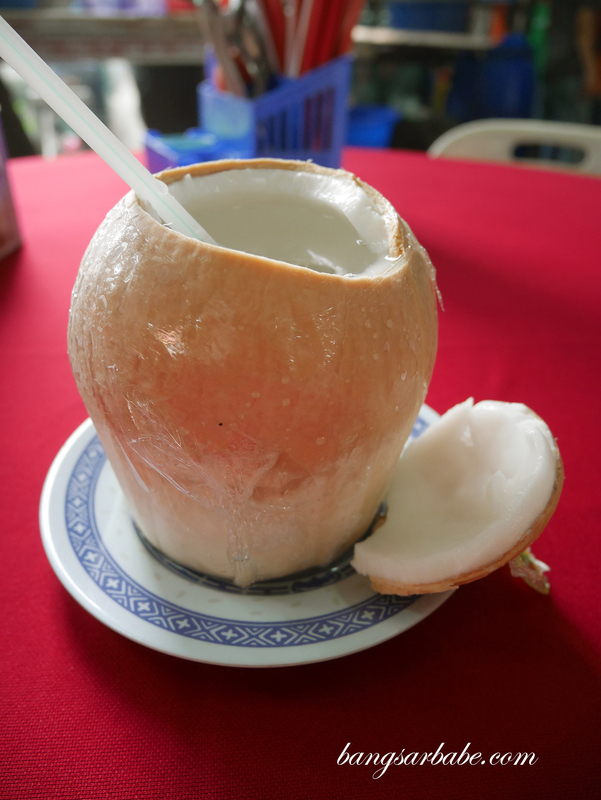 If you’re up for something other than steamed fish, this is a good option. 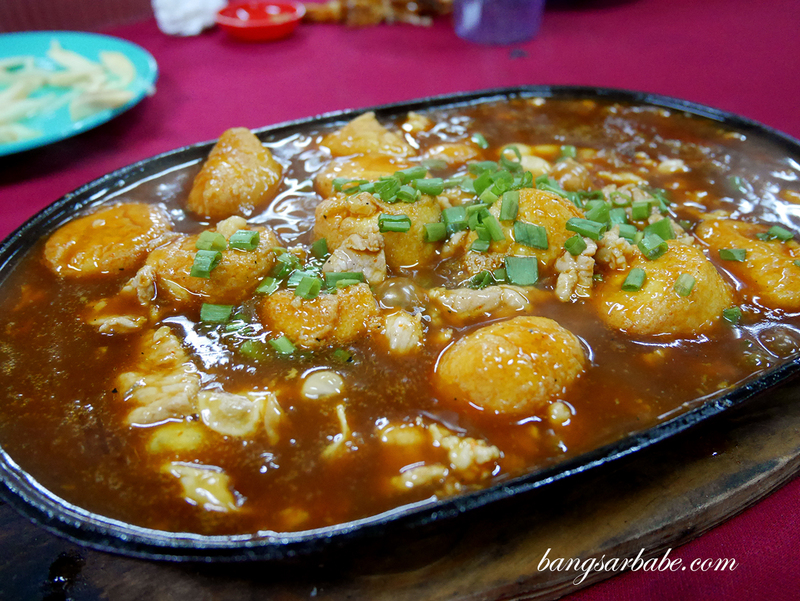 We ordered two hot plate dishes – prawns and tofu. 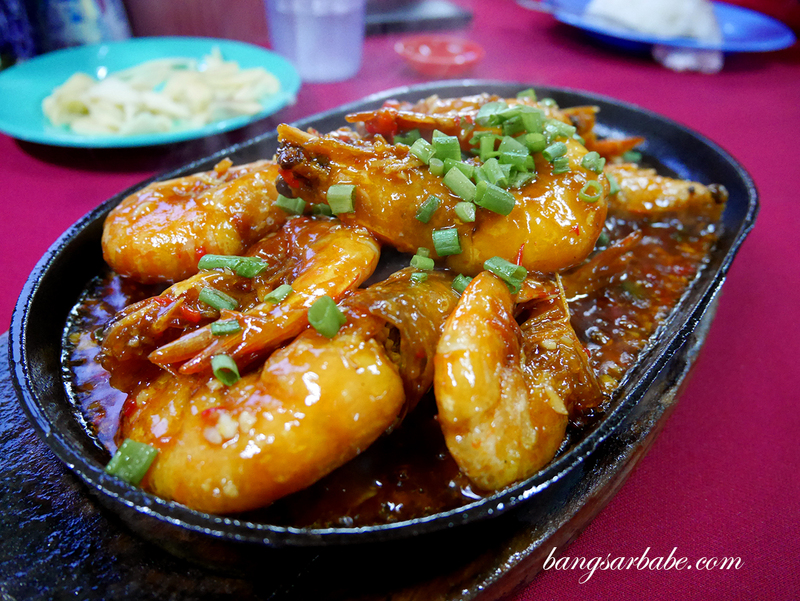 I didn’t care much for the latter but the prawns on hot plate was pretty good stuff. Just remember to eat this quickly to prevent it from overcooking. 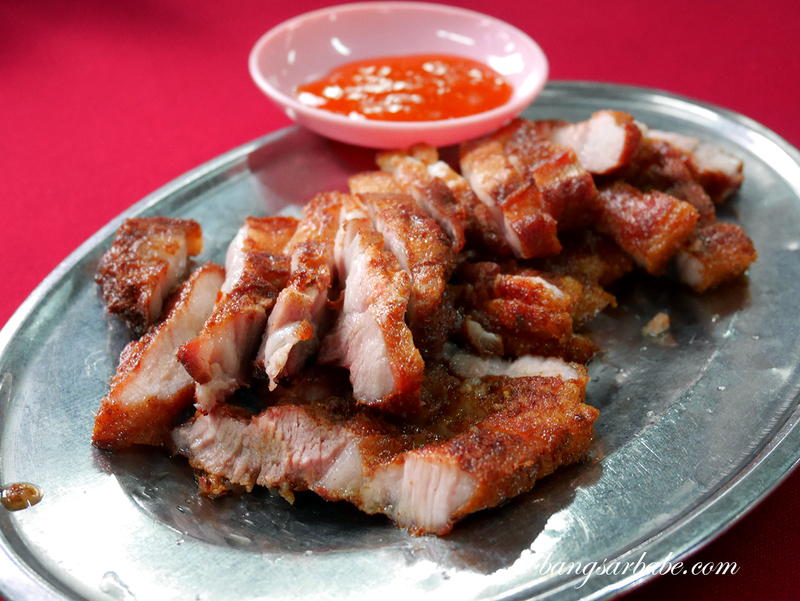 Fried pork features pork belly slices marinated in nam yue and deep fried to juicy perfection. I like the ratio of fat to meat for this; so each piece is juicy and tasty from the fat and seasoning. 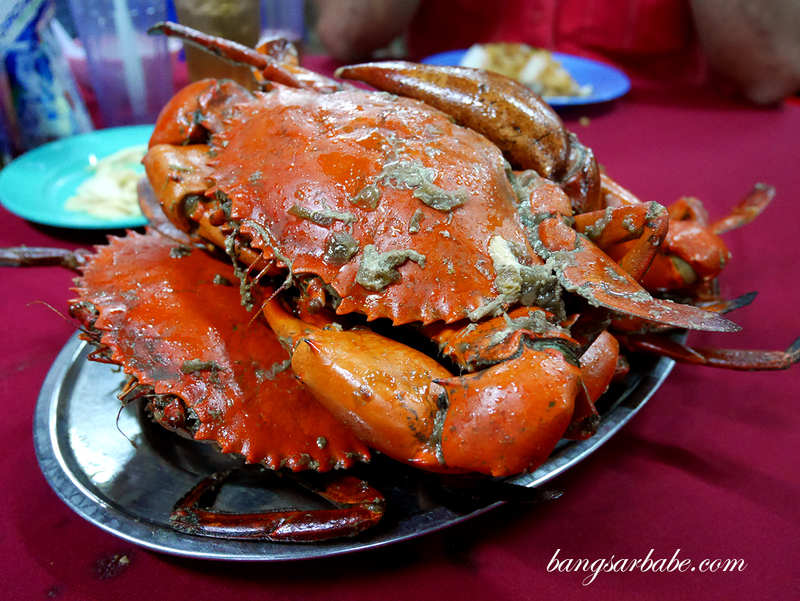 Our bill came up to about RM400 for 4 pax, and considering the amount we ordered (one huge crab per person), I found it pretty reasonable. 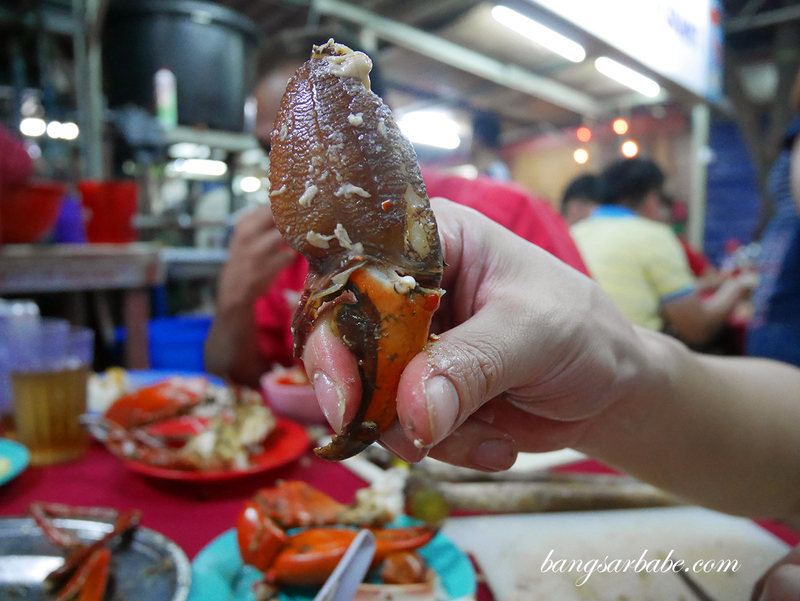 Verdict: Come for the crabs and don’t forget to book them in advance!